While the Soviet Avtomat Kalashnikova has become the iconic weapon of bad guys in Hollywood blockbusters and big-budget video games, U.S. commandos made good use of the rugged rifles in Vietnam. By the end of the conflict, the American military had reissued captured Ak-47s, made new ammunition for them and came up with a few other surprises. It’s often because the commandos hated their own U.S.-made guns. This extended to the Americans. The practice of taking enemy weapons from the battlefield as trophies was hardly new in the 1960s. But captured weapons—especially AK variants—quickly became important parts of U.S. Army Special Forces and U.S. Navy SEAL Teams’ combat arsenals. These new additions offered a number of practical and psychological benefits. For one, the American M-16 rifle was pretty crappy. The early design was a maintenance nightmare, and the guns often jammed in battle. The AK-47 was far more dependable, and had a larger 30-round magazine to boot. An American soldier might confuse his enemies by using their own guns against them, especially in the dead of night. The AKs had a distinctive report and their tracer rounds glowed green instead of red — the standard color in Western armies. And the Pentagon’s battle plans called for American troops to scour the Vietnamese countryside for insurgents and their supplies. So there was no shortage of these foreign firearms or ammunition to go with them. Commandos and regular forces both seized contraband—from food stores to heavy weapons—on a regular basis. With the stroke of a pen, senior officials redirect the captured AKs and their 7.62-millimeter bullets to troops in the field. The Pentagon also began developing its own secret supply chain for the seized weapons. Government contractors made cartridges devoid of any identifying markings. 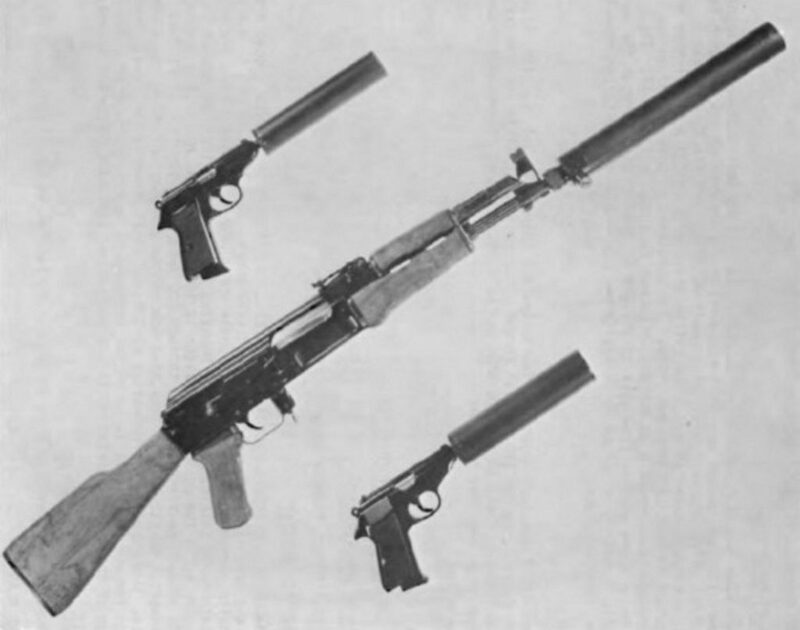 The foreign weapons and “sanitized” rounds were perfect for commando missions in North Vietnam, Laos and Cambodia. Washington was not officially involved in the fighting in any of these countries. Nevertheless, the Pentagon’s top secret Military Assistance Command, Vietnam-Studies and Observation Group—a.k.a., MACV-SOG—and their South Vietnamese counterparts routinely crossed these borders to hunt North Vietnamese supply convoys, gather intelligence and sabotage enemy infrastructure. MACV-SOG’s personnel became among the most notable users of captured gear. In September 1970, the group even asked the Army’s Land Warfare Laboratory to modify six of its captured AKs. Less than a year later, the technicians returned the guns with silencers and modified sights, according to official progress reports. The weaponeers also created 10 silenced Walther PPKS pistols — the famed sidearm of fictional super-spy James Bond — as part of the project. MACV-SOG distributed AKs to special units of North Vietnamese defectors and South Vietnamese special operators. With faked enemy uniforms and captured weapons, American commanders figured Hanoi’s forces would be less likely to uncover these teams, codenamed Earth Angels. “As proposed, recruitment of these personnel would be of a highly selective nature amongst NVA officers and NCOs who had surrendered their units or turned in caches of arms and equipment,” a now declassified study of MACV-SOG’s operations noted. “Once selected, they were to be trained in intelligence collection techniques, observation, reporting, radio communication, demolition [and] prisoner capture,” the report added. As American forces captured even more enemy ordnance, the Pentagon approved more … creative tactics. In 1967, the Joint Chiefs of Staff signed off on plans—initially dubbed Eldest Son, but later nicknamed Pole Bean—to sneak booby-trapped ammunition into Viet Cong supply dumps. “The object of the program was to cause incidents and casualties among the enemy, thus instigating doubt, fear and lack of confidence in the reliability of Soviet and CHICOM weaponry,” the MACV-SOG review explained, using the acronym for Chinese communists. The near indestructible AKs were one of the primary targets of this psychological campaign. A year after the project got under way, American commanders even warned reconnaissance teams not to pick up the rifles while in the field, except in emergencies. Pole Bean became one covert program the Pentagon was perfectly happy for the press to hear about. “A news item in TheNew York Times … indicated that the contaminated ammunition program was having considerable success,” the MACV-SOG report noted. Even as Washington’s involvement in Southeast Asia waned, the Pentagon still made use of its captured stockpiles. 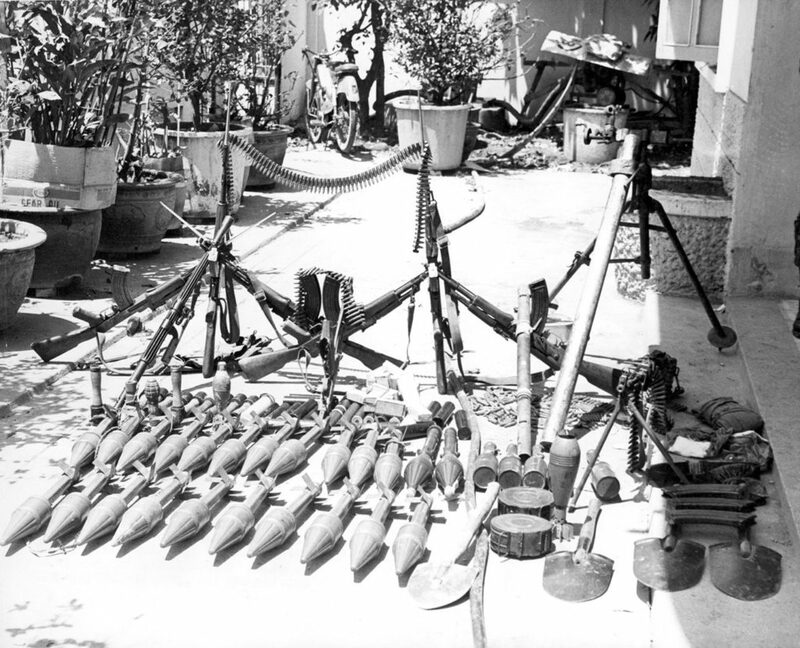 After a coup deposed Cambodia’s King Norodom Sihanouk in 1970, the Pentagon turned over more than 27,000 AKs and three million bullets to Phnom Penh, which had previously received military aid from Moscow. When Pres. Richard Nixon agreed to a “peace with honor” two years later, American forces brought a number of the captured weapons home with them. While some of the Kalashnikovs ended up in museums, a number of them remained in U.S. special operations arsenals for training purposes. But America’s affair with AK-47s on the battlefield didn’t end. Today, with the Cold War over and the rifle still in widespread service around the globe, the Pentagon is once again buying the guns on the open market to ship to Washington’s allies — particularly in the Middle East.